Ada Lovelace was a Victorian-age mathematician and countess who became the world’s first computer programmer. Her interests also included poetry, as well as pseudoscience topics such as phrenology, metaphysics and mesmerism. Along with engineer and mathematician Charles Babbage, she made the first technological and conceptual steps toward modern computing. For this she is known as the “Founder of Scientific Computing.” She lived from 1815 to 1852 but her contributions to technology remained obscure until their re-discovery in the middle of the 20th century. Ada Lovelace has been referred to as an inspiration for women in the Science, Technology, Engineering and Mathematics (STEM) fields of work and study. Ada Lovelace was born in December of 1815 as Augusta Ada Byron, although she was also known as Ada Gordon. She is a legitimate child of the famous poet George Gordon Byron, also known as Lord Byron, and his wife at the time, a mathematician named Anne Isabella Byron or Lady Byron. Her father left her and her mother when she was only a month old, never to return. She spent a great deal of her childhood being raised by her grandmother, the Baroness Judith Milbanke. Her younger years were marred by a series of illnesses, including debilitating headaches, measles, and disabilities stemming from extended periods of resting in bed. During this time she honed her knowledge of mathematics and engaged in other technological pursuits. In 1828 she constructed wings using a variety of designs and materials, for the purpose of flight. She also wrote a book titled Flyology that summarized her studies in the pursuit of flight. During her adult life she made acquaintances with famous people like Charles Babbage, Michael Faraday, Sir David Brewster, and Charles Dickens. She married Baron William King in July of 1835 at the age of 19, and her husband became Earl of Lovelace in 1838. As a result she became known as Augusta Ada King, Countess of Lovelace. She had three children: Byron, born in 1836, Anne Isabella, born in 1837, and Ralph Gordon, born in 1839. She died in 1852 at the age of 36, as a result of uterine cancer, and was buried next to her father as she previously requested. Because of her mother’s anger at her father, Ada was taught mathematics in an attempt to steer her away from poetry, which was her father’s greatest interest. Her education was private in nature, and her instructors included science author Mary Somerville, as well as a mathematician named Augustus De Morgan, and clergyman William Frend. One of her other tutors, William King, had the same name as her husband. Her mathematical prowess was recognized by De Morgan, who predicted she would become prominent in the field. Despite her mother’s attempts to keep Ada away from poetry, her father’s love of poetry rubbed off on her. She made attempts to combine science and mathematics with poetry, saying that imagination was as important as one’s skills in mathematics. As a result of this she also pursued metaphysics, and other fields such as phrenology, which gave rise to the study of neuropsychology. She also showed an interest in animal magnetism, or mesmerism, which involved both hypnosis and attempts to achieve healing by the use of an animal’s natural force. She also sought to develop a mathematical analysis of the human consciousness, although this was cut short by discouragement from her mother. At the age of 17, Ada Lovelace met an engineer and mathematician named Charles Babbage who invited her to see his Difference Engine, which was not yet fully complete. Ten years later she wrote a translation of Luigi Menabrea’s notes concerning the Analytical Engine, a new device Babbage was planning to build. Her writing included an effort to explain the difference between the Analytical Engine and the previous computing device, the Difference Engine. In her writings about the Analytical Engine, she included actual code for calculating Bernoulli numbers. It was this part of her writings that earned her the title of the world’s first computer programmer. Lovelace accurately predicted that computers would, in the future, help with scientific research, as well as create art and music. She also accidentally devised a simple method by which one could judge a computer’s level of artificial intelligence, by stating that computers lack free will and cannot achieve original thought. She published these notes under the initials “AAL,” short for “Augusta Ada Lovelace.” Her intellect impressed Babbage so much that he referred to her as “The Enchantress of Numbers.” In later years, she and Charles Babbage attempted to develop a perfect solution for betting on horse races. This backfired, however, and her love of betting on horse races caused her to go deep into debt. Free Will: Lady Lovelace’s Objection? Ada Lovelace’s contributions to computer science went forgotten for the better part of a century after her death. They were rediscovered in 1935 by a British scientist named Baron Berram Vivian Bowden. In 1953, he published Faster Than Thought; A Symposium on Digital Computing Machines, in which he mentioned her work and reintroduced it to the world. In 1980, the US Department of Defense honored her by creating the Ada programming language in her honor. 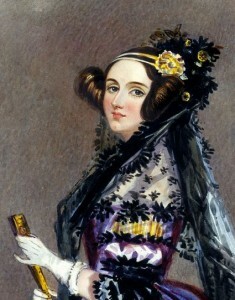 A number of programs designed to encourage women to pursue STEM fields exist, some of which are named after Ada Lovelace. Ada Lovelace Day is an internationally recognized day in October (October 14, 2014) that celebrates her achievements. 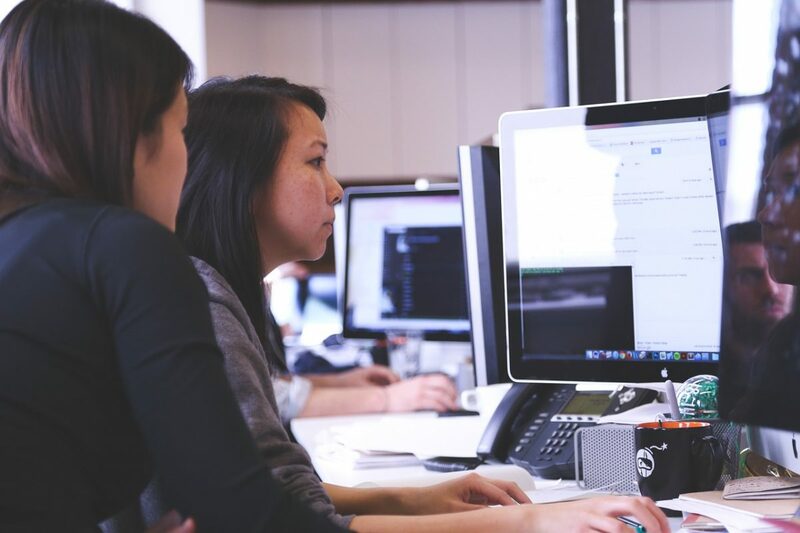 Her contributions are frequently referred to as an inspiration for women to become computer programmers and to join the STEM industries.